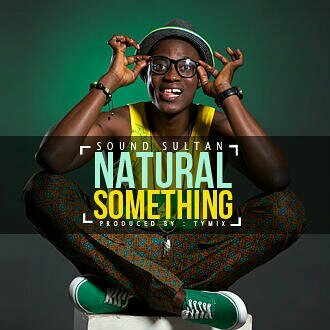 FRESHKID ENT/ SPLURGE ENT/ &PHAROS LIGHT HOUSE Presents to you all a mind blowing one this season of love tagged #NATURALSOMETHING Going down live on the 14th of february 2014. Live at CLUB DREAM @ the GRASSHOPPERS PLACE, 1st avenue, kclose, festac town lagos. Time: 7pm (Red carpet) Gate fee: free Very strict security though..
#naturalsomething is the theme for the proposed party on valz day, live in festac town. YES!!!! Its no RUMOUR that the BIGBALLERS would be invading the GRASSHOPPERS place to SPLURGE at the proposed event which is best defined as “SLEEK, SWAVE, n SWAG”. Its #Natural something baby! And on this one, We v got y’all the illest of them all,,, “World int’l DJ-YOSIR n DJ K-FLOW” come one, come all lets party with style n class thereby having whole lotta guest appearances in the building. Venue: club DREAM @ the grasshoppers place, 1st avenue, k close, festac town lagos. 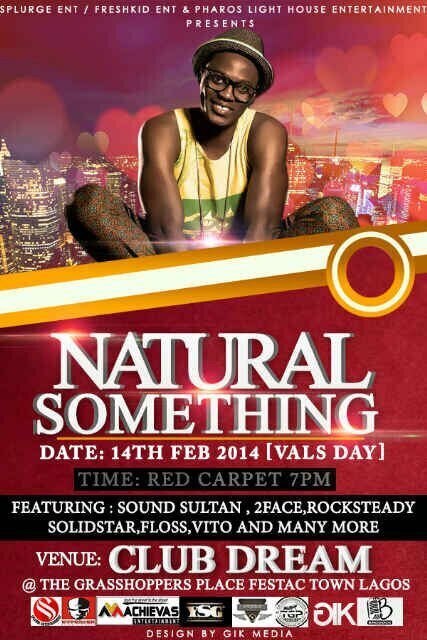 Date: february 14th 2014 (valentines day) Time: red carpet 7pm ……………..Its indeed a Natural something!!! Free February born peeps should also pop up,reserved spots,free customised dp, Free champagne for the first 10 to show uP.